Simpler tax returns – MyTax – is it right for you? It is that time of year again – it’s time to do your 2014 Income Tax Return. The financial year ended on 30 June 2014 so all individuals who earn income must now start to think about (and then do) their tax returns. Individuals generally should lodge their returns by 31 October 2014, however depending on your circumstances, you may be eligible to lodge your return at a later date if you lodge through a tax agent (ie in May or June 2015). You should already be pulling out your financial statements and other information that you will need to prepare your tax return. It is highly recommended that you seek the assistance of your tax agent in preparing your tax return. They are highly experienced and know all the tips and tricks to getting your return right! The 2014-15 Federal Budget was handed down on 13 May 2014. This Budget is intended to reduce the deficit from the current level of $49.9 billion to $29.8 billion. The Treasurer, the Hon. Joe Hockey MP, stated that the budget is about the “national interest” and that there is no easy way to repair the Budget. The main focus of the Budget is on the expenditure side, which is only half of the equation; the other half of the equation being about revenue. Some sectors of society will be affected by the measures proposed in the Budget more than others. The main measures likely to affect you are outlined below. To ensure you know precisely how you may be affected by one or more of these measures, you should consult your tax adviser. A three year temporary levy of 2% (the ‘Budget Repair Levy’) will be imposed on individuals’ taxable income in excess of $180,000 a year, from 1 July 2014 until 30 June 2017. The dependent spouse tax offset (DSTO) will be abolished for all taxpayers from 1 July 2014. The mature age worker tax offset will be abolished from 1 July 2014. The Medicare levy low-income threshold for families will be increased from the 2013/14 income year. The First Home Saver Accounts scheme will be abolished from 1 July 2015. From 1 July 2014, taxpayers will receive a tax receipt showing how and where their tax dollars were used. The income threshold at which students commence repayment of their Higher Education Loan Programme (HELP) debts will be reduced with effect from 1 July 2016. Various reforms will be introduced to the pension system including increasing the qualifying age for the Age Pension to 70 by 1 July 2035. The eligibility age for the Newstart Allowance and Sickness Allowance will increase from 22 to 24 years from 1 January 2015. Various reforms to the Family Tax Benefit (FTB) Part A and Part B payments will be introduced, including reducing the FTB Part B primary earner income limit to $100,000 pa and changing certain eligibility requirements. A new $750 allowance will be introduced for single parents on the maximum FTB Part A rate, but who will no longer receive FTB Part B payments due to eligibility changes. These measures largely commence on 1 July 2015, with some transitional arrangements. Changes will be made to the Medicare system relating to patient contributions, indexation of fees and thresholds, and Medicare safety net arrangements. The schedule for increasing the superannuation guarantee rate to 12% will be changed. The law introducing the 2% Temporary Budget Repair Levy payable by high income earners (individuals earning over $180,000 a year), passed into law in June this year. The levy is payable at a rate of 2% of each dollar of an individual’s annual taxable income over $180,000. No levy is payable where the taxpayer has a taxable income of $180,000 or less except in cases where a tax law integrity rule applies the top personal marginal tax rate as a flat rate to certain types of income. The levy only applies to the income years in the period 1 July 2014 to 30 June 2017 (ie the 2015, 2016 and 2017 years). If you think you might have to pay the Temporary Budget Repair Levy, and are not sure, speak to your tax agent. Following the announcement in the 2014-15 Federal Budget, the family income threshold for the 2013-14 income year has been $34,367 (from $33, 693 in 2012-13). The child-student component of the family income threshold for the 2013-14 income year has been increased to $3,156 (from $3,094 in 2012-13). These amendments apply to assessments for the 2013-14 income year and later income years. The legislation that was introduced in 2009 to allow the Government to pay tax bonus payments (the $900 stimulus cheques) was repealed in May this year. No further stimulus cheques will be issued. 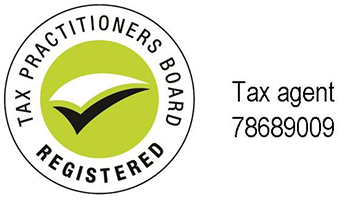 The previous edition of TaxWise alerted readers to this change which has now come into law. Two attempts have been made to repeal the MRRT and the other measures affected. However, at the time of writing, the Bill to repeal these measures had not yet been passed. The scaled increase to the superannuation guarantee rate will also be affected by the Bill that repeals the MRRT. Per the announcement made in the 2014-15 Federal Budget, it was planned to increase the rate to 9.5% from 1 July 2014, pause at this level until 30 June 2018 and then start to raise it by 0.5% each year, reaching 12% in the 2022-23 income year, one year later than previously proposed. However, this has not been included in the current Bill before Parliament. Instead what is currently before Parliament is that the rate will remain at 9.25% until 1 July 2016 where it will increase to 9.5% and then gradually rise in 0.5% increments each year to 12% over the following 5 years. 12% will be reached by 1 July 2021. However, at the time of writing, this was not yet law so it is not yet certain how the superannuation guarantee rates will change over the next few years. the threshold below which a person may receive LITO to increase to a taxable income of $67,000. the threshold below which a person may receive LITO will remain at a taxable income of $66,667 rather than increase to a taxable income of $67,000. Your tax agent will be able to keep you informed of the changes to the superannuation guarantee and if the proposed changes to the individual income tax rates are going to go ahead. On 27 March 2014, the ATO announced the beginning of Project DO IT: Disclose Offshore Income Today. Through this initiative, the ATO is urging all taxpayers with offshore assets to declare their interests, ahead of a global crackdown on international tax havens. The ATO advises that if taxpayers have offshore income or assets, now is the time for them to review their overseas financial activities and make sure their tax is in order. This initiative provides taxpayers with an opportunity to make a voluntary disclosure in return for reduced penalties and other incentives, but is only available until 19 December 2014. Under Project DO IT, people disclosing their offshore assets will generally only be assessed for the last four years, be liable for a maximum shortfall penalty of just 10% and full shortfall interest charges, and will not be investigated by the ATO or referred for criminal investigation on the basis of their disclosures. In July this year, the ATO advised that it is mining data it has to identify individuals with undisclosed offshore income and assets. The new information will be used to encourage people to disclose under Project DO IT. The ATO will significantly increase its compliance focus by examining data including information from overseas tax authorities on Australians with offshore investments and bank accounts, information from Australian and foreign banks on fund flows, interest and account balances, information from informants about offshore accounts, and money transfers to and from offshore bank accounts. The ATO says that up to 30 June 2014, the Project DO IT initiative had received significant interest with 166 disclosures raising an additional $13 million in tax liabilities. There have been more than 250 expressions of interest, where taxpayers have identified themselves and said they will be making a disclosure. There have also been more than 600 general enquiries. If you have offshore income and assets and are wondering if you are affected by Project DO IT, it is highly recommended you contact your tax adviser. Your tax adviser will be able to assist you if you have any concerns or believe you might have income or assets that you haven’t already declared to the ATO. This year, the ATO has been cracking down on dividend washing arrangements. These arrangements involve taxpayers getting two lots of franking credits on the same number of shares (normally you are only entitled to one lot of franking credits). Dividend washing is a practice through which taxpayers seek to claim two sets of franking credits by selling shares held on the Australian Securities Exchange (ASX) and then effectively repurchasing the same parcel of shares on a special ASX trading market. The timing of this transaction occurs after the taxpayer becomes entitled to the dividend but before the official record date for dividend entitlements. not required to include the amount of the franking credits on those shares in their assessable income. Penalties can apply to taxpayers participating in these schemes. In March this year, the ATO began targeting taxpayers who they thought may have been caught up in dividend washing schemes. In mid-August, the ATO commenced the next phase of targeting taxpayers who the ATO think may have been involved in dividend washing schemes. More information about dividend washing can be found on the ATO website. There is always activity in the superannuation space. Some of the main things to be aware of are noted below, particularly if you are in the process of separating or have unclaimed amounts of super. A legislative determination has been made which relates to the adjustment of superannuation entitlements of separated and divorced spouses, and of separated de facto couples (except in Western Australia). The entitlements are provided under certain orders or agreements that split particular kinds of future superannuation benefits made in property settlements under the Family Law Act 1975 (Cth). The determination relates to orders or agreements that provide for a base amount split of future superannuation benefits that are payable in respect of a defined benefit superannuation interest or an interest in a self-managed superannuation fund. The ATO has advised that as a result of amendments made in 2013, interest on payments of unclaimed superannuation to Australian residents from 1 July 2013 will be free from income tax. Interest paid to previous temporary residents who are now current residents of Australia for unclaimed super will not be subject to ‘departing Australia superannuation payment’ (DASP) tax. Payments of super to temporary residents will be subject to DASP withholding tax. If the former temporary resident died before the payment is made, the DASP tax rate will still apply. If you receive a pension payment from a self-managed super fund (SMSF), the payment must comply with the standards set for SMSFs. The ATO advises that to ensure that the pension standards for SMSFs are met, it is important that fund trustees consider the time that a member’s benefit is cashed (that is, ‘paid’). That is, the timing is affected by whether you receive the payment as cash, electronic transfer, cheque and so forth. As a general rule, a benefit is cashed when the member receives an amount and the member’s benefits in the SMSF are reduced. Guidance can be found on the ATO website. If you want to make sure your SMSF is properly complying with the required standards when paying a pension to you, you should speak with your tax adviser. On 30 July 2014, the ATO issued Taxation Ruling TR 2014/5 entitled "Income tax: matrimonial property proceedings and payments of money or transfers of property by a private company to a shareholder (or their associate)". The Ruling is concerned with the tax impact of transfers of money or property from private companies to separating spouses that comply with an order made s 79 of the Family Law Act 1975 (Cth). The Ruling considers that these can amount to a dividend and therefore are taxable in the hands of the individual who receives the money or property. If you are in the midst of such proceedings and money and property sitting in a private company is involved, you should seek advice from your tax adviser about what this might mean for you and whether you could potentially have a tax liability arise. superannuation income streams and superannuation lump sum payments. If your circumstances have any complexity in them at all, or you are simply unsure about deductions you might be entitled to, you should always seek the assistance of a tax agent. Even if you think your tax affairs are simple, it is always better to seek the advice and assistance of a tax agent. Australia’s tax system is complex and you never know what you might be missing that could cause you to get your tax return wrong. The 2014 PAYG withholding schedules have been made. They apply from 1 July 2014 and incorporate changes, such as the increase in the Medicare levy from 1.5% to 2% and the temporary Budget Repair Levy. Individuals wanting to know how much tax should be withheld from their pay can refer to the tables published on the ATO website to find out. Some changes to the private health insurance labels on the Individual Tax Return form have been made. From 1 April 2014, private health insurance rebate percentages are subject to an annual adjustment. This means that there will be two different rebates that will need to be shown on your income tax return for 2014 and in future years. There is further information about this on the ATO website, though it would be wise to see your tax agent for assistance in completing this part of your tax return form to make sure you get it right. From 2014 onwards, taxpayers are going to receive a ‘tax receipt’ with their tax return that will show approximately how the tax paid by taxpayers contributes to government expenditure.